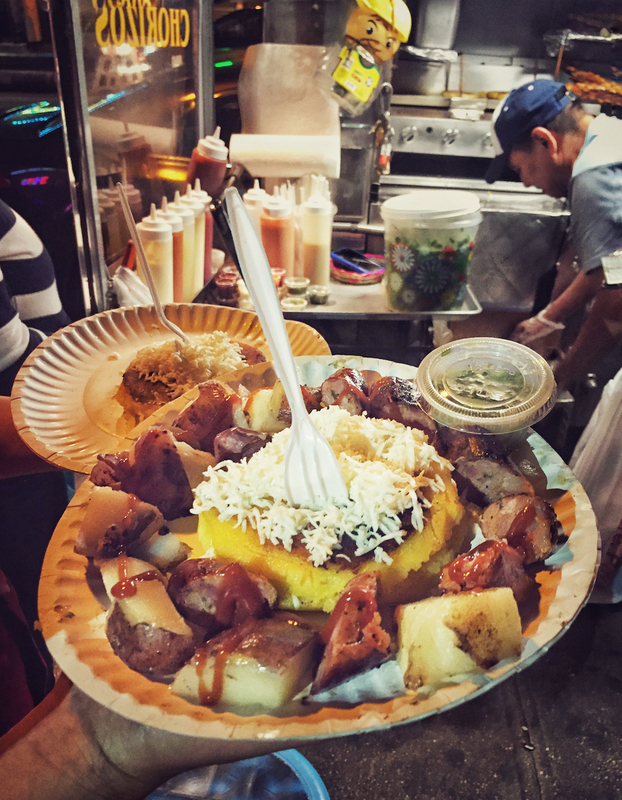 In the melting pot of New York City, Latin American cuisine has been established not only as a profitable business but also as a reminder of home for the latinos living in the Big Apple. Because Latin American cuisine in NYC is catering to one of the largest latino communities in the US, you will certainly find the real sh**. These eateries are compared daily with the flavors once created by mamás and abuelitas, and in my opinion (being a Chilean foodie), they are up to the challenge. Taste it for yourself, and let me know if I missed any other essential spots! I have heard so many times that there is no good Mexican food in NYC. But I guess it is because they haven’t tried the tacos and quesadillas at Los Tacos No. 1, at the Chelsea Market. You can see them preparing everything, even the flour and corn tortillas right there in front of you. You are able to see how they grill the carne asada and how the pork roasts. You eat with your eyes first. At the bar, they have many different sauces, from mild to super spicy, and other condiments such as salsa, avocado and limes. You can even order nopal (grilled cactus)! Sincerely the best I’ve tried in NYC (and I have tried a lot!). It is not haute cuisine, not even a sit down restaurant, just a small unpretentious simulation of a street cart in the middle of the market. Original to Puerto Rico, the cuchifritos are the deep fried “everythings” that you can find in Harlem and in the Bronx. From alcapurrias (pastries stuffed with beef/shrimp), bacalaitos (codfish fritters), fried yuca, plantains and empanadas, to orejitas (fried pig ears) and chicharrones (fried pig skin), these Puerto Rican delicacies are the snacks you probably would get after a long night partying and when you already spent most of your money on drinks and are running low on cash. These fried bits are unique in their species. 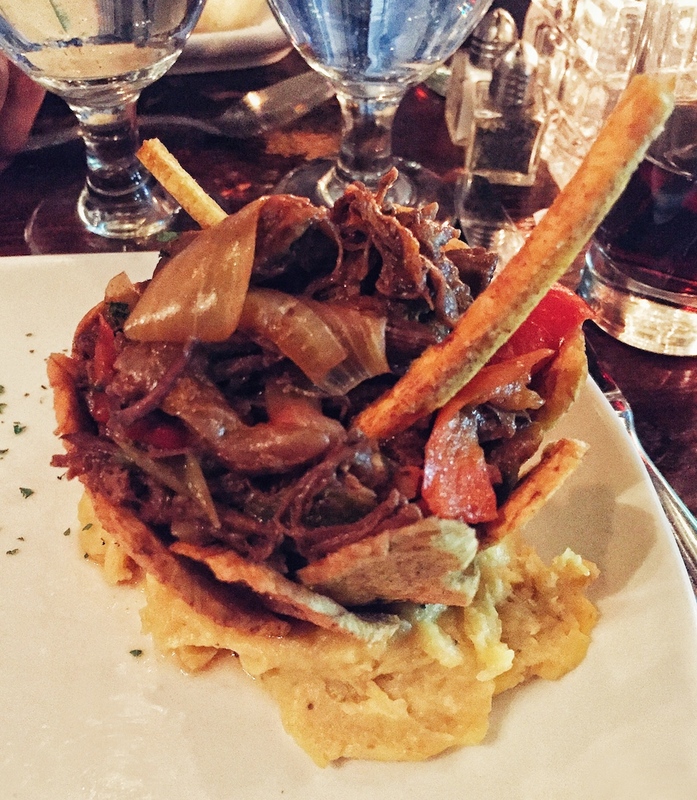 El Malecón is one of my favorite sit-down Caribbean restaurants in the Upper West side. They have a broad variety of latin foods, yet their specialty is Dominican dishes, like churrasco, mofongo, garlic shrimp, and roast chicken. Rosa Mexicano is a high-end Mexican restaurant close to Lincoln Center. The perfect spot to go after you have seen a ballet or opera show. Your date will melt; just like the Chihuahua cheese on top of the chorizo and the poblano rajas appetizer. Their entire menu includes classic dishes from all over Mexico, such as the arrachera from Sonora, to the enchiladas rancheras from Jalisco to Oaxaca’s chile poblano relleno and Puebla’s Pollo con Mole, all of them featuring graceful presentations. Cuba is a lovely, more intimate spot in the heart of the West Village. Old school Cuban food -ropa vieja, lechón asado (roasted suckling pig) and the Cuban sandwich- are served with glamour and charm, while listening to Compay Segundo’s music. For dessert, their key lime tres leches cake is scrumptious. Venezuelan arepas have made their way in NYC. They have not only become popular… even if you are not from Venezuela, you still find them “essential” and crazily crave them, especially when you are at the Rockaways, enjoying NYC’s hot summer days. Caracas Arepa Bar offers a large variety of fresh corn arepas, such as shredded beef, roasted pork, chicken, sausage, black beans, fried sweet plantains and cheese among others, and the intriguing taro fries with herb mayo, right next to the beach, along with great music (sometimes even live music) and beers. It is the best spot for celebrating the Summer and having great food with friends. Ps. They have two other locations; in the East Village and in Williamsburg. If you are in the Washington Heights area -no matter what time of the day or night-, you will probably see trucks with the sign “chimis” or “chimichurris”. Do not confuse them with the Argentinian sauce! Chimis are Dominican street “burgers”, the biggest, cheapest and most decadent sandwiches I have ever seen. Topped with a mixture of ketchup, mayonnaise, and Worcestershire sauce, this is not a sandwich for the faint of heart. Warning: just by reading this you probably already gained 4 pounds. 7. 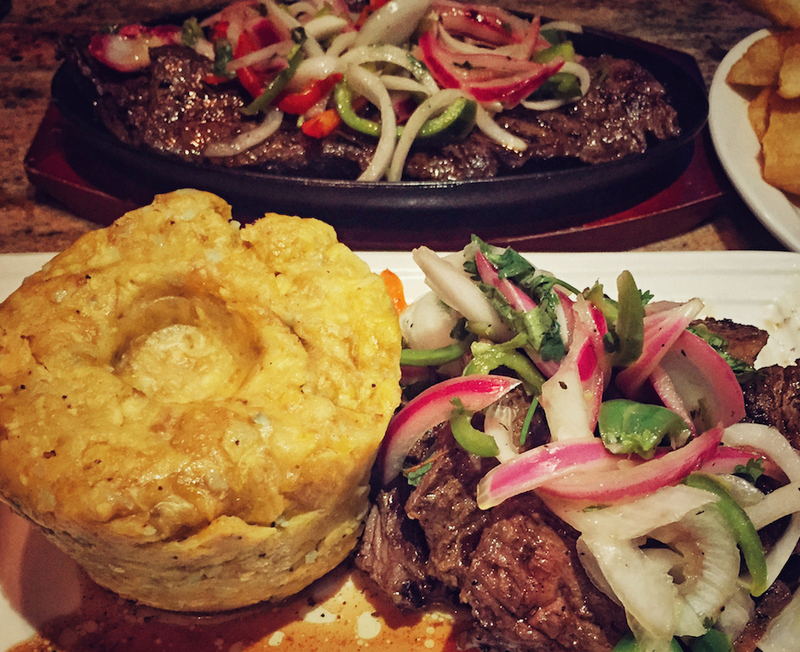 Treat yourself to completos with pebre in Astoria. If you happen to be in Astoria during the day, there is a Chilean bakery (named San Antonio) that serves the famous “completos”, which consist in a sausage topped with avocado, sauerkraut, tomato and mayonnaise. My recommendation is to add the “pebre” they give you on the side (salsa made with tomatoes, onions, cilantro, chili peppers, parsley, and garlic) on top of everything. Pebre is simply the best. In some Spanish speaking countries, “hot dogs” are translated to “perros calientes”, and that’s where the name “La Perrada de Chalo” comes from. La Perrada de Chalo specializes in Colombian style hot dogs, which are bombs of flavor with “surprise” toppings such as pineapple chunks, crushed potato chips, blackberry sauce, shrimp sauce and even shredded chicken. Undoubtedly, the late night kings of Queens and ideal for hangover food after a party, or a quick bite when working late. This snack doesn’t uniquely belong to our culture: it is also found in tropical countries around the World, and it’s particularly popular in Southeast Asia. You will see them being sold everywhere in the streets by Latin American people; in Midtown, the Upper East or the Upper West sides, even in the subway. Mango slices with lime juice and lots of chili powder in a bag are one of the classic latin snacks NYC has to offer. I have to say, though, for some of us, it is an acquired taste. 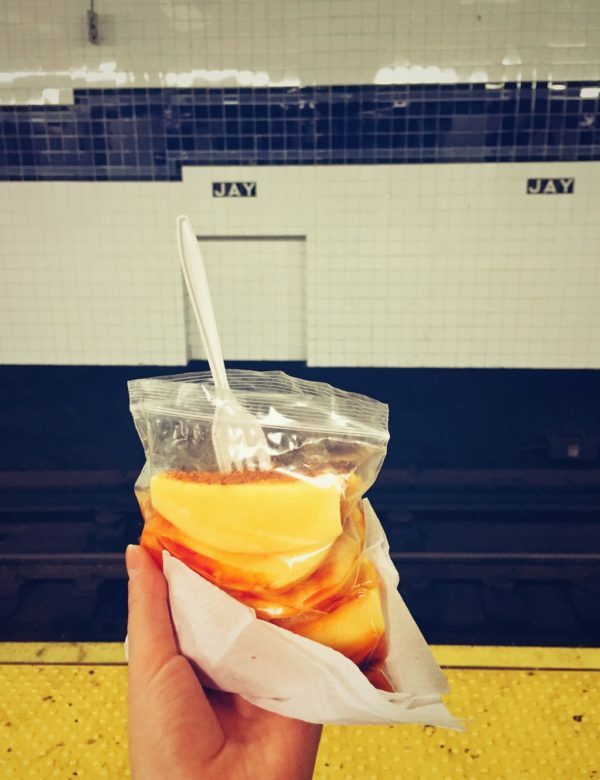 If you don’t need or want to travel all the way to Queens, you can just go to any big, important subway station (like Times Square, Penn Station or Union Square) and you will probably find some freshly made churros waiting for you right there. Who can say no to a churro? One of my favorite foods in life is Peruvian food. So far, I’ve probably been to all Peruvian restaurants in NYC, and my favorite remains the same: Chimu, in Williamsburg. To me, it is the best combination of excellent quality food, strong drinks, great and fast service, and most importantly: the abundant portion size. For a piggy like me, it is ideal  Everything in their menu is authentic and truly enjoyable, especially all the meat and fish dishes, such as the lomo saltado, all the ceviches and the pescado a lo macho (they serve you the entire fish). Moreover, their pisco sours are luscious and super strong (you have been warned!). This thematic restaurant might be the most Argentinian spot in NYC. Whether you are interested or not in adoring Maradona and other star players from Boca Juniors soccer team, I’m pretty sure you are going to love the beef. Oh my, the steaks! Here you can have a real argentinian parrillada: a huge feast consisting in mixed grilled meats; such as bife chorizo (shell steak), entraña (skirt steak), mollejas (gizzards), chinchulines (tripe bits), chorizo, morcilla (blood sausage), asado de tira (short ribs), chicken and pork chops among others. If you are in the touristy mood, you want to drink some mojitos or piña coladas and you find yourself in the Times Square area, there is this Cuban food spot, Havana Central, that transports you to Havana in the 60’s, even if it is located in the heart of NYC. You will see a big luminous palm tree indicating its entrance, and you will be welcomed by a salsa live band on the weekends. You can balance things out this way: have the immense portion of lechón asado, try either a mojito, a piña colada, or a sangria, and then shake all the calories away dancing to their live bands.